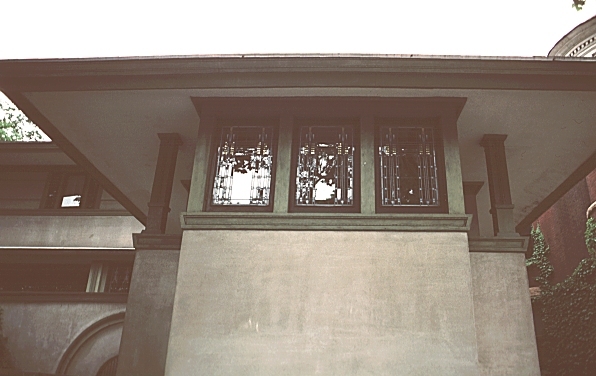 Images of Frank Thomas House, 1901, by Frank Lloyd Wright at Oak Park (Chicago). 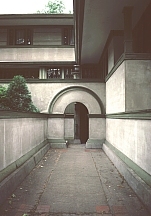 Digital Imaging Project: Art historical images of European and North American architecture and sculpture from classical Greek to Post-modern. 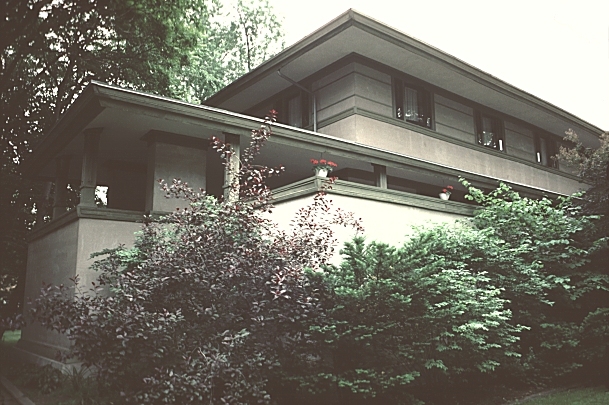 Scanned from slides taken on site by Mary Ann Sullivan, Bluffton College. 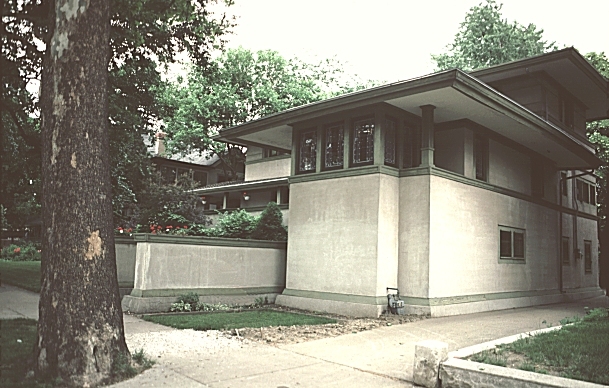 This was Wright's first Prairie style house in Oak Park. Like the Heurtley House, it has leaded glass windows, a protected arched entrance, and horizontality--emphasized by the ribbon windows, projecting eaves, and low pitched roof. 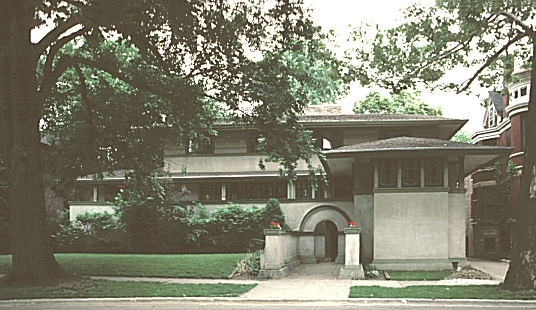 Other houses on this site by Wright in Oak Park include: Peter A. Beachy House, Arthur Heurtley House, E. R. Hills House, Nathan G. Moore House and Stables and the Wright House and Studio.